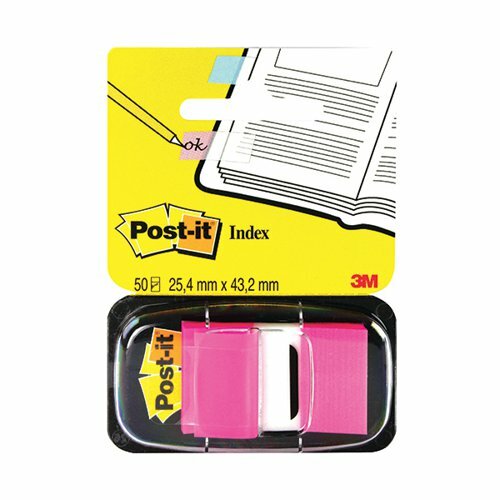 3M Post-it Index - Bright Pink. Tabs for convenient page marking. Clear, so copy will show through. Durable - will not tear or pop off. Removable so can be re-used. Tabs can be written on.